Beautiful Ranch in Swim / Tennis Neighborhood 4 bedroom / 3.5 bath with upstairs bedroom and private bath. Lots of hardwood flooring. Heavy trim work. 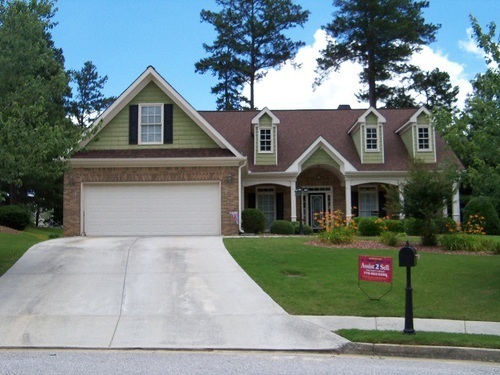 This large 4 bedroom / 3.5 bath ranch home is located in the Grayson school area. Features include a spacious master bedroom with trey ceiling, walk in closet ,and French doors that open to an oversized patio. Whirlpool bath has a separate shower/ water closet, and his and hers sinks. Eat in kitchen has lots of cabinets and counter space that opens into the family rm. Upstairs has a teen retreat or office/ playroom with a private bath. Hardwood floors in most of home and seller has updated the trim work. Additional bedrooms are good sized. A cul-de-sac location is a bonus for the kids.